LANDOVER, Md. 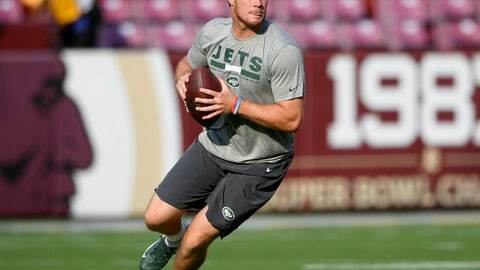 (AP) — Rookie Sam Darnold is starting at quarterback for the New York Jets in their preseason game at the Washington Redskins. The third overall pick was the third QB to play in the Jets’ preseason opener against the Atlanta Falcons. Darnold was 13 of 18 for 96 yards and a touchdown. Despite Darnold taking first-team snaps in joint workouts with the Redskins, coach Todd Bowles said all week that all three of his quarterbacks need to be ready to play. It’s unclear how New York will use veterans Teddy Bridgewater and Josh McCown, though both are in uniform. Darnold, Bridgewater and McCown are in a three-way competition for the Jets’ starting job in Week 1 at the Detroit Lions. Veteran Alex Smith is starting for the Redskins.